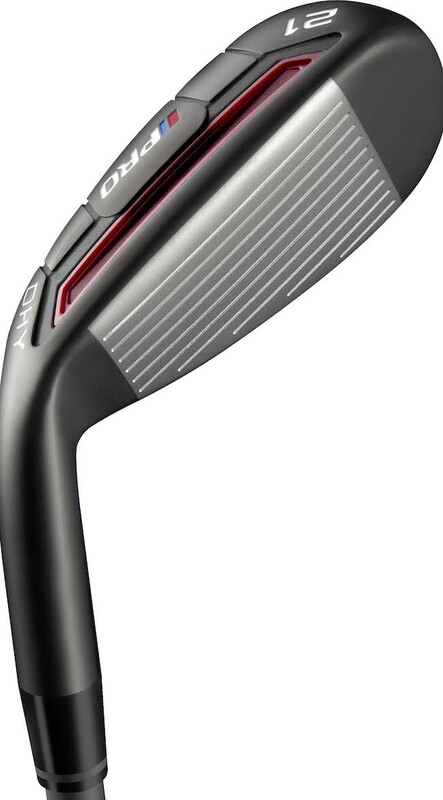 Adams Golf, who were recently declared as the No.1 hybrid brand on both the PGA Tour and European Tour, has launched its latest hybrid to the market in the form of the Pro Hybrid. Adams has already projected it as being the No.1 model on the PGA Tour this year and the brand believes it has created a single design that works for players of all skill levels. “We refined playability through numerous iterations so all players, from PGA Tour stars to recreational golfers, can replace their current hybrids with these easy-to-hit models,” - Michael Fox, Adams Golf’s director of global product management. The Pro Hybrid follows a blueprint that Adams say has proven to make consistent contact easier for golfers of all skill levels. Velocity Slot Technology on the crown and then Cut-Thru Slot on the sole headline the tech tables for the Pro Hybrid and both combine with an ultra-thin face to add forgiveness and flexion, making it easier than ever to hit the ball high towards your target. The centre of gravity has been repositioned, too, and now sits behind the centre of the face to enhance the workability of the club for players who favour shot-shaping. “We refined playability through numerous iterations so all players, from PGA Tour stars to recreational golfers, can replace their current hybrids with these easy-to-hit models,” said Michael Fox, Adams Golf’s director of global product management. The Adams Pro hybrid family also consists of the Pro Mini for low-handicap players with high swing-speeds and the Pro DHy, based on the design of the successful Super DHy, which proved to be one of the most popular clubs on both the PGA Tour and European Tour in 2013.